Description: Round bicone. 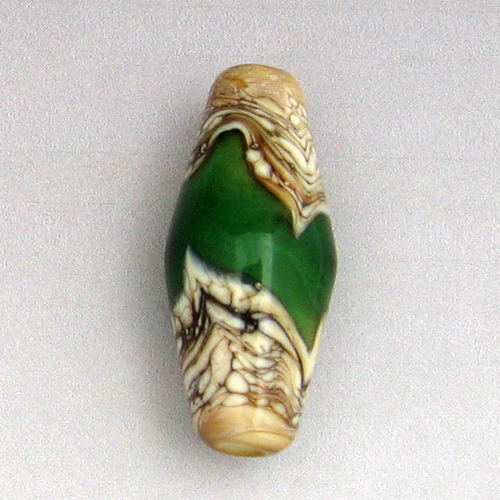 Silver fumed dark ivory base with transparent sage green and clear decorations. Great "crazing" in the ivory from the fuming.